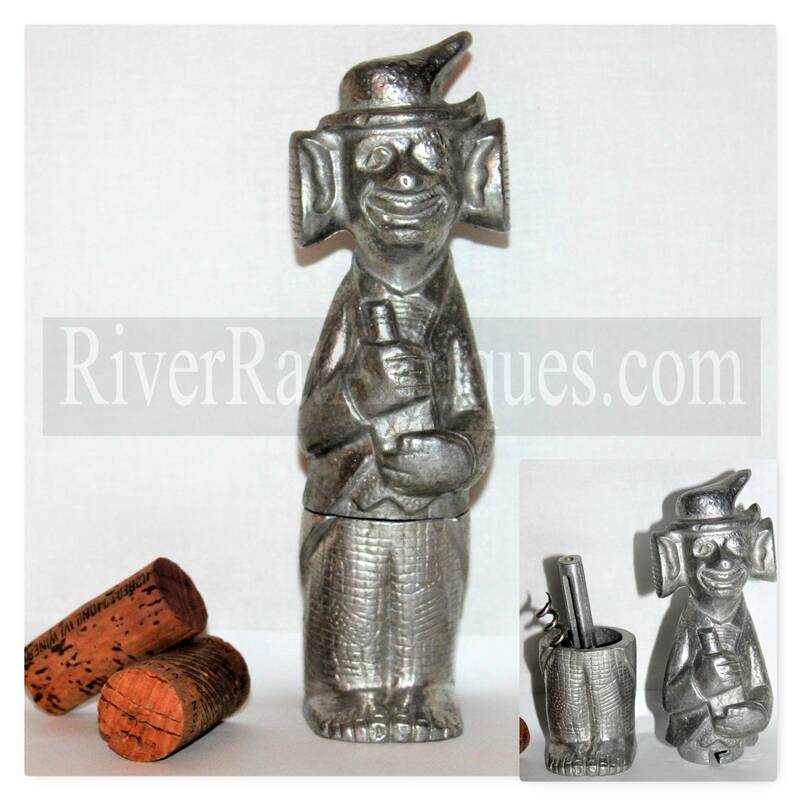 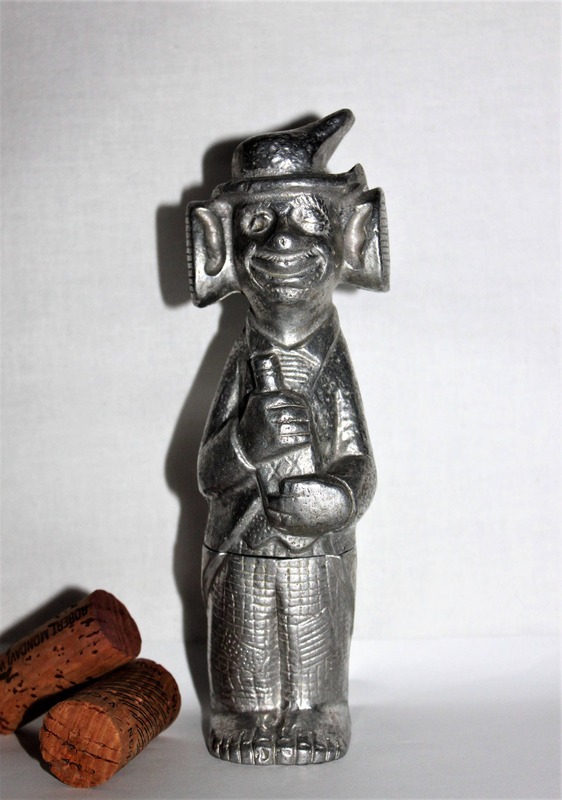 We have for sale a Vintage Mid-Century 1960s Bar Bum the Handy Man for your Bar, Barware Set. 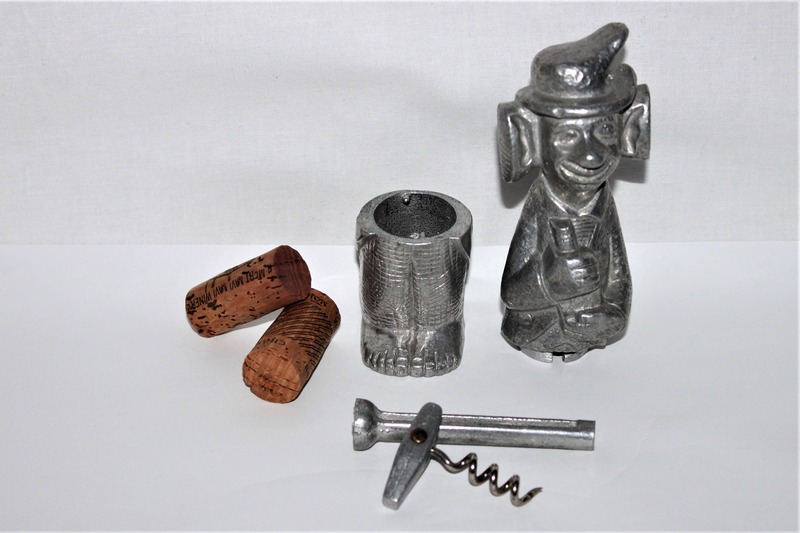 This is a handy Six-in-One bar tool set. 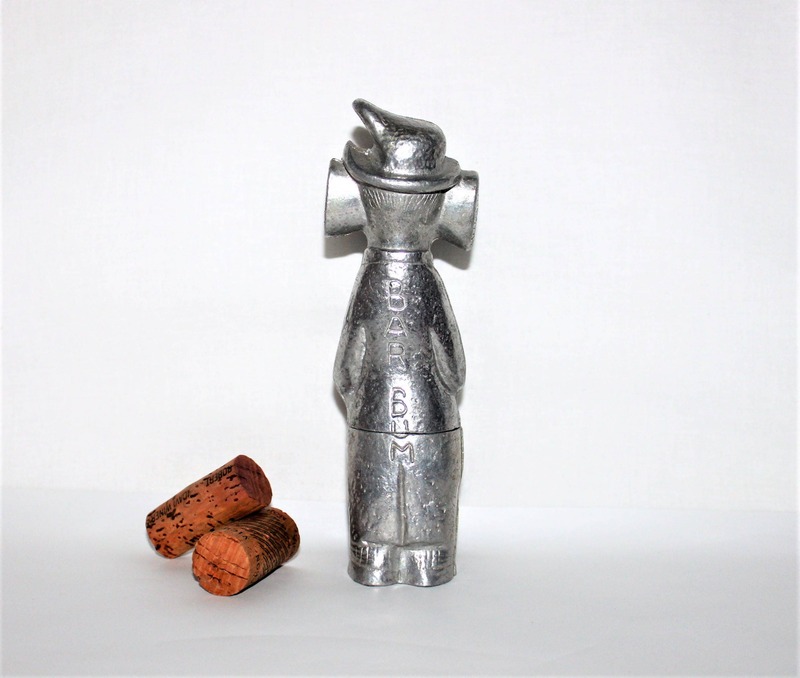 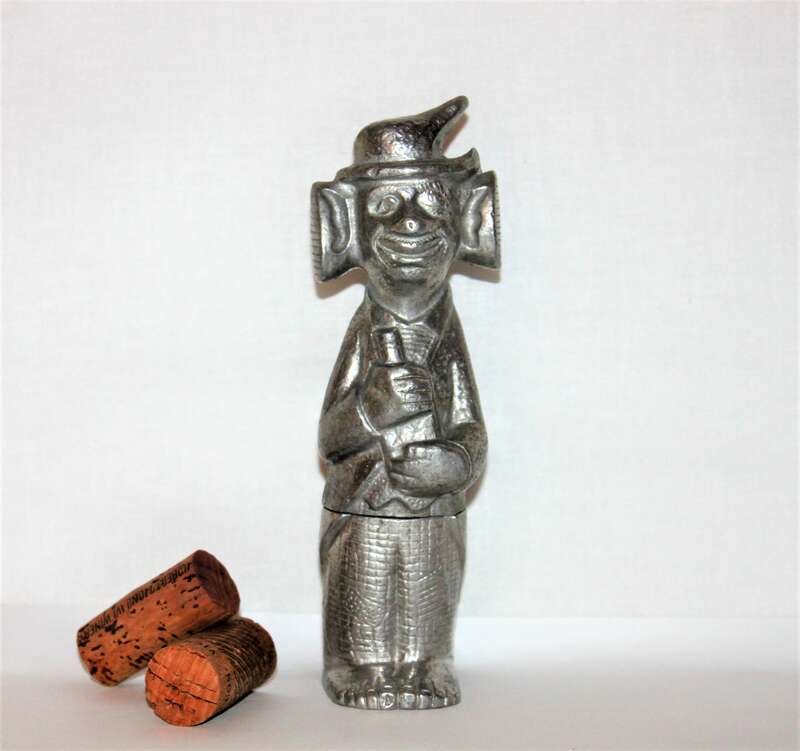 His hat is a bottle opener, his ears are ice or nut cracker, take him apart and his lower half is a jigger, and inside hides a corkscrew, muddler. 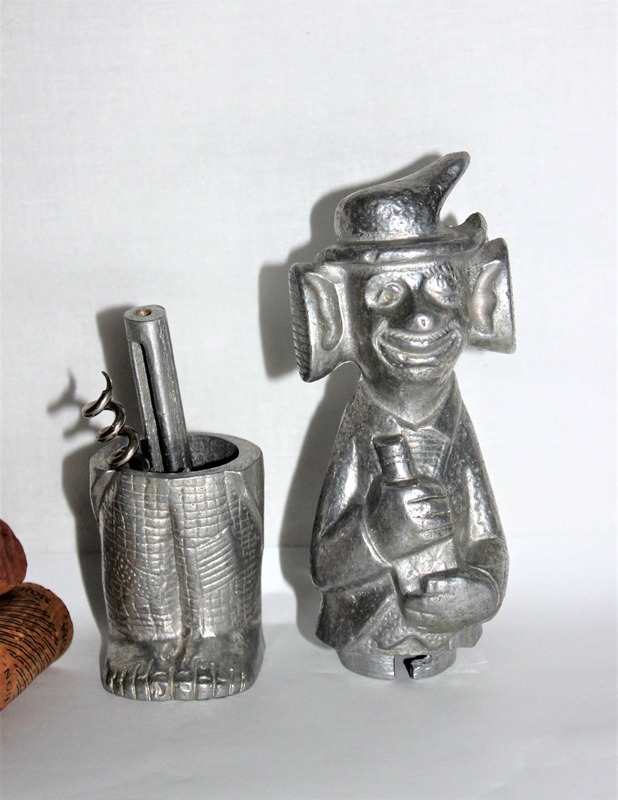 These were made in a painted version and a much scarcer all aluminum color version.